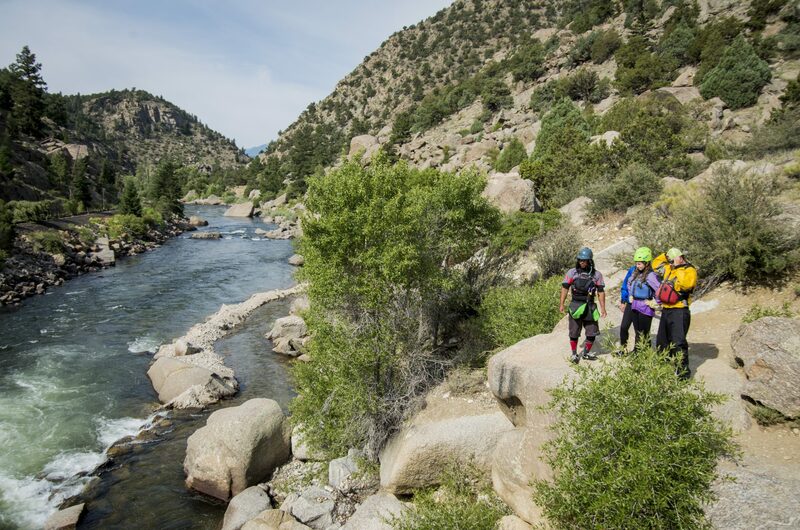 Start in the heart of Brown’s Canyon National Monument and finish in a high mountain valley surrounded by 14,000 foot peaks. The majority of the trip is spent navigating technical class II+ water, but a few class III drops will add some extra excitement. Be prepared for Seidel’s Suckhole and Twin Falls!